THC Free, check the lab tests below for more details. If you’re looking for a concentrated CBD, look no further. 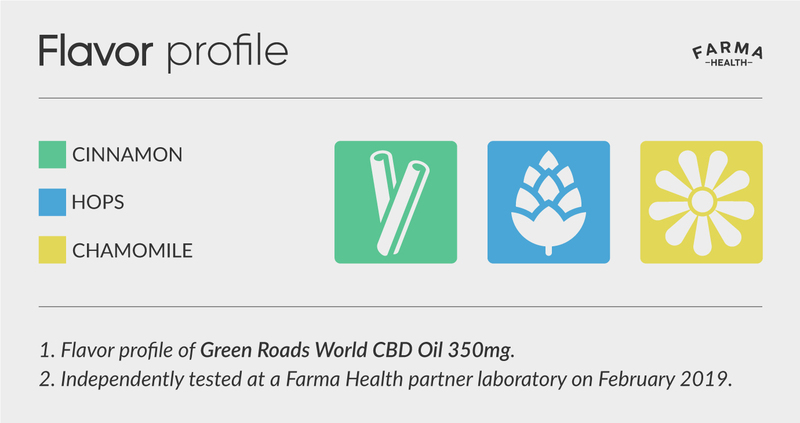 Green Roads World CBD Oil is loved by thousands of users - new and regular. 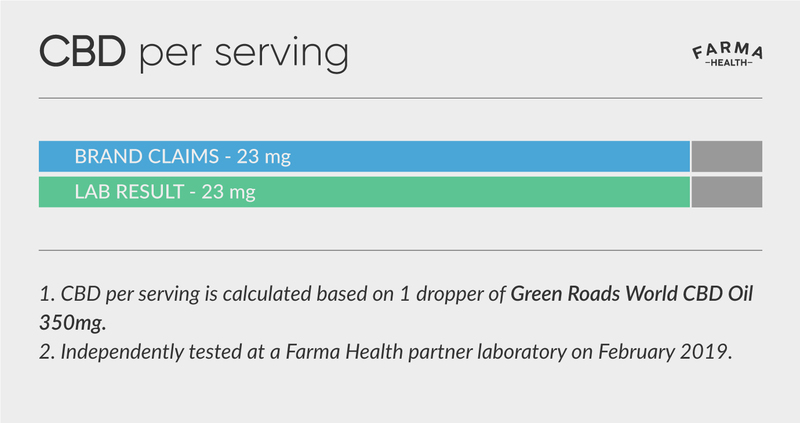 Independent lab tests done by Farma Health confirms 23mg CBD per dropper. This is certainly one of the highest concentrated CBD blend available in the market. Terpenes flavor of cinnamon, hops and chamomile defines the taste of this CBD Oil.